WWE and Warner Bros. 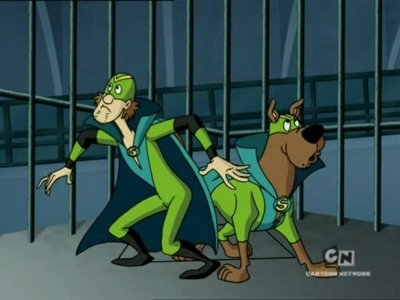 Team Up For Scooby Doo Feature Set At WrestleMania!!! I literally laughed out loud when I got this in. I enjoy the WWE and have always had a soft spot for Scooby Doo. I never once thought they would come together as one. I was wrong about that. WWE Studios and Warner Bros. are teaming up for an animated feature that will center around a mystery at WrestleMania. See, you can’t get through that sentence without smiling. Triple H, Kane, John Cena, The Miz, Brodus Clay, AJ, Sin Cara, Santino Marella, and the big boss man himself Vince McMahon will lend their voices and appear in the animated film. I’m still hoping to hear that Undertaker, Paul Heyman, RVD, and Chris Jericho will add their voices to the mix as well. This will be a direct-to-video project and I assume WWE will promote the hell out of this for WrestleMania. If you smellllllll…what Scooby is cookin’! This entry was posted on Wednesday, August 15th, 2012 at 1:46 pm	and is filed under Film, News. You can follow any responses to this entry through the RSS 2.0 feed. You can skip to the end and leave a response. Pinging is currently not allowed. « Bryan’s Must Own Bluray/Dvd’s For The 2nd Week Of August 2012!! !